IAoC CL2017.08.01: Virtual Membership in the Congregation of the Church will be open to all persons 14 years of age or older who live more than 15 KMs from the Association Headquarters. 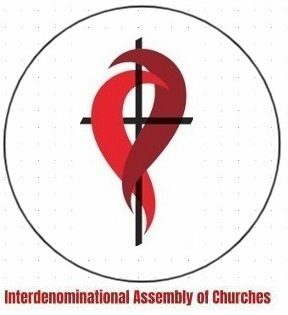 A person shall become a Virtual Member of the association by signing its virtual membership with his email yourname@bible-academy.org and committing to participation in the association by means of financial support as an indication of sympathy with the association’s purposes and objectives. Virtual Members are entitled to the privilege of voting. This “confirmation” is accomplished by receiving the “right hand of fellowship” from the Bishop and your “Membership Certificate”. Thereafter, you will be greeted by your fellow members! To prepare for membership, to understand its benefits and responsibilities, and to ask questions, there are Inquirers’ Classes several times a year. Times and dates for the class will be published in a newsletter, the official websites and on this “Events Calendar“. Membership Class A in the IAoC (Individual Membership) shall be acquired as provided in the Constitution and Canons of the EMMI. Of the members of the association, only those shall be entitled to vote at any meeting who shall be adult communicants (Canada 18 year old) and who for at least six months prior to that meeting shall have been faithful attendants at the services of the association, unless for good cause prevented, faithful contributors to its support, and faithful in working, praying and giving for the spread of the kingdom of God; these facts to be determined in each case by the Board in accordance with the provisions of the Constitution and Canons of the EMMI.